Upper air observations depended on balloons and kites. The pioneering Montgolfier brothers of French ballooning, Jacques-Etienne (1745-99) and Joseph-Michel (1740-1810), had made their first manned flight on June 4, 1783, and manned balloons had been much improved by the early 20th century. Because of lack of oxygen, balloon-borne observers could not climb as high as the stratosphere and survive. Better unmanned balloons and kites capable of carrying meteorological equipment needed to be created. The first unmanned observation balloon, introduced in 1892, carried a balloonsonde—a container of meteorological equipment that registered data and then dropped to the ground when the balloon burst at high altitude. Unfortunately, meteorologists could not get the data unless they could find the container. That meant searching in the direction that the balloon was last seen flying or hoping that someone would find the container and return it to the observatory that launched it. Until 1901, constant-volume balloons were made of expensive varnished silk. The introduction of inexpensive, sturdy rubber balloons was a major improvement. They could reach 12.4 miles (20 km) before bursting and the equipment boxes were equipped with little parachutes that allowed them to float gently to Earth. Of course, there was still the problem of finding the box after it landed. The instrument boxes carried relatively inexpensive thermometers, barometers, and hygrometers. Ink pens moving across graph paper recorded the temperature, pressure, and humidity. Although the balloons were able to reach great heights, the ink froze in the recording pens when the temperature dropped below freezing. Once that technical difficulty was resolved, amateur meteorologists and professional scientists launched hundreds of balloons. They also used balloonsondes to retrieve air samples. 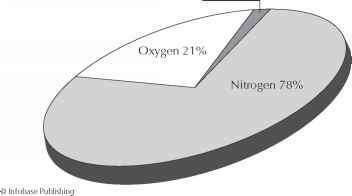 Scientists examined the samples and determined that the relative percentages of gases that compose air remain constant with height. Observers also used pilot balloons, which carried no instruments, to determine upper-level wind velocity. They tracked the balloons with a surveying device called a theodolite, an instrument that indicated the direction of flight and angle of ascent. Since the balloons rose at a constant rate, using a timepiece and basic trigonometry the observer computed the balloon's height, distance, and velocity. This only worked if there was no cloud cover or the cloud ceiling was high. Even though pilot balloons were red, they were still difficult to see in the fog and were quickly hidden by low-lying clouds. Relatively inexpensive, pilot balloon use spread rapidly after 1906. By sending a pilot balloon off just in advance of a takeoff, observers could tell pilots what kinds of winds to expect—a vital piece of information for flyers in manned balloons. Large box kites also carried instruments to great heights. Because the observer reeled the instrument box back in with the kite, no one had to go out and find it to obtain the data. The kites needed strong winds to stay aloft and were ineffective on calm or low-wind days. When kites crashed, the long metal wires holding them often fell down onto high-voltage electrical lines, endangering the observer and short-circuiting the entire power grid. For these reasons, kites were gradually phased out. Kites, tethered balloons, and free-floating balloons were important additions to the meteorologist's toolbox in the early 20th century. The use of the data for improved predictions, however, would have to wait until the next decade and the continued work of Vilhelm Bjerknes. 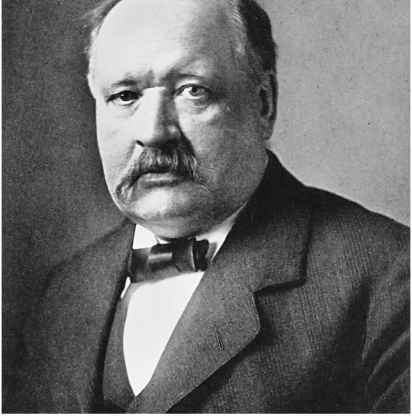 In his 1896 article "On the Influence of Carbonic Acid in the Air upon the Temperature of the Ground," the Swedish physical chemist Svante August Arrhenius (1859-1927) claimed that pollution from burning fossil fuels (coal, oil, gas, peat) to provide energy to heavy industry and to heat homes might warm the atmosphere. (This possible change in climate was called anthropogenic because it was caused by the actions of people.) Carbonic acid (also called carbon dioxide, CO2, gas) in the atmosphere would absorb long-wave radiation leaving Earth and reradiate it back to the surface. Since the Little Ice Age had just ended in 1850, a warmer atmosphere would be good. "Global warming" would postpone another ice age, might produce a period of enormous plant growth, and would contribute to a better climate. A warming atmosphere was not considered bad in 1896—particularly by northern Europeans who endured harsh winters. For most people, warmer was better. When the extremely small percentage of atmospheric carbon dioxide increases, the atmospheric temperature increases too. Just a few years later, in 1899, Arrhenius's colleague Nils Ekholm (1848-1923) computed a doubling of CO2 level and increasing global temperatures if coal-burning rates remained unchanged. As did Arrhenius, Ekholm thought warmer was better. Indeed, if it were possible to control the amount of CO2 being pumped into the atmosphere by industrial smokestacks, people could prevent the arrival of a new ice age. A dissenting voice entered the debate in 1900. The Swedish physicist Knut Angstrom (1857-l910) argued that CO2 was not the cause of atmospheric warming—water vapor was. Both CO2 and water vapor absorbed long-wave radiation, and since the percentage of water vapor in the atmosphere could be as much as 100 times greater than that of CO2, additional CO2 would make little difference. One scientist who agreed with Angstrom's conclusion was the Smithsonian Institution's director, Charles Greeley Abbot (1872-1973), an astronomer who was a solar radiation expert. The American geologist Thomas Chrowder Chamberlin (1843-1928) agreed with Arrhenius. Chamberlin was looking for a mechanism to explain the periodic occurrences of ice ages. His question: What caused Earth to become so cold that glaciers advanced toward the equator, and then what caused it to warm up again so that the glaciers retreated back toward the poles? As did most theoretical meteorologists of the early 20th century, the Norwegian Vilhelm Friman Koren Bjerknes began to study the atmosphere after receiving his doctorate in physics. His father, Carl Anton Bjerknes (1825-1903), was a physicist, and young Vilhelm was immersed in physics from an early age. Because Carl Bjerknes found it difficult to build and operate experimental apparatus, he called upon Vilhelm to design and create what he needed. At age 19, Bjerknes accompanied his father and their equipment to the 1881 Paris International Electric Exhibition and demonstrated their experiments. The impressed judges awarded Carl Bjerknes a diplomes d'honneur alongside such prominent scientists and inventors of the day as Thomas Edison and Alexander Graham Bell. Upon returning home to summarize the results, Carl Bjerknes suffered such terrible writer's block that he turned to Vilhelm for assistance in completing the project. The young Bjerknes, trying to finish his master's degree in mathematics and physics (awarded in 1888 from the University of Kristiania), found himself torn between helping his clearly distressed father and protecting his future career. Although he endeavored to concentrate his studies in areas that could ultimately be helpful to his father, Bjerknes decided that he must leave Norway and study on the European continent to have a chance at a research career. Having won a fellowship to study abroad, Bjerknes left for Paris in 1889 and traveled to Germany to join the laboratory of the physicist Heinrich Hertz (1857-94) in 1890. Convinced that a German lab, particularly one belonging to a scientist as esteemed as Hertz, would be much better outfitted than those in relatively poor Norway, Bjerknes was shocked when he discovered a rundown, neglected lab. As the only worker, he did not enjoy the expected camaraderie of fellow physics graduate students. Bjerknes found himself working exceedingly long hours in isolation as he designed and built equipment that would allow the study of resonance phenomena in electric waves. Pleased with the efforts of his young protégé, Hertz encouraged Bjerknes to pursue his doctorate in Germany. Because his father needed him at home, Bjerknes returned to Norway and continued his doctoral studies there. Although Bjerknes's research on the ways metals affect the propagation of electric waves attracted considerable attention among academics, Carl Anton's requests for assistance turned him back toward hydrodynamics. To ensure that his son remained in Scandinavia and did not return to Germany, Carl Anton arranged for a teaching position for him at the Stockholm Hogskola. Bjerknes had originally planned to continue his work on electric waves in Stockholm, but the lack of facilities as well as his father's insistence that their work required his full attention finally led him to abandon the work he had started with Hertz and turn to hydrodynamics in 1895. Within two years, his efforts to make a connection between hydrodynamics and electromagnetic force fields resulted in Bjerknes's famous circulation theorem. In his initial research presentation, he only discussed the potential application to electromagnetic phenomena. Then in February 1898, Bjerknes made another presentation to the Stockholm Physics Society. He had decided to include some applications to the oceans by changes in atmospheric and oceanic circulations, the building and destruction of mountain ranges, and volcanic activity, which threw large amounts of debris into the atmosphere. The third theory was that degrees of glaciation depended upon the chemical composition of the and the atmosphere because some of those in attendance—including Svante Arrhenius and Nils Ekholm—were particularly interested in those areas. 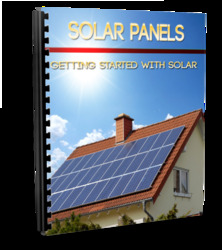 Their enthusiasm for his ideas spurred him to action. Bjerknes explained that with upper-air data his theorem could help test Ekholm's theory that air currents appearing in cyclones resulted from unevenly distributed pressure and density. As Ekholm brought him up-to-date on meteorological thought, Bjerknes found out that Arrhenius intended to use the circulation theorem in a book he was writing on the atmosphere and oceans. 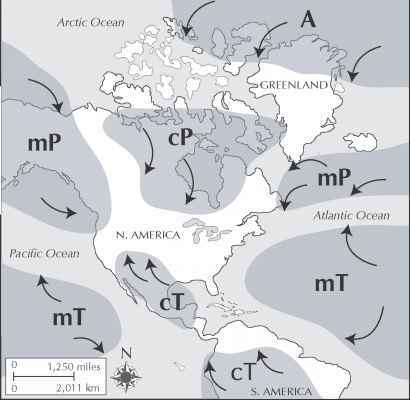 He also discovered that Ekholm was convinced that the circulation theorem could help to unravel the nature of low-pressure systems that track across the middle latitudes (30°-60° latitude). To investigate these cyclones, the Physics Society raised money for a series of kite experiments in Bjerknes's honor. Although most of his time was devoted to helping his father, Bjerknes could hardly ignore the efforts of his colleagues. As he wrote in a letter to his wife in June 1899, he could not help "getting sucked into the meteorological vortex." The pressure to devote more time to meteorology intensified as news of his accomplishments spread. American and German scientific journals asked him to contribute articles. As the 20th century began, Bjerknes became more heavily involved in meteorological studies. Whereas he had had difficulty attracting attention for his ideas from the physics community, the international geophysics community not only noticed what he did, but encouraged his work and sought out his ideas for publication. He was having an easier time obtaining funding for his research, and he could finally see a viable future in atmo spheric research that had been woefully missing in his earlier electromagnetic resonance studies. Bjerknes became convinced that he might even be able to establish a research school—an institution where he could both influence the research agenda and direct the work of handpicked assistants. Although physicists rarely associated with their less scientifically rigorous meteorological colleagues, Bjerknes saw an opportunity to use physics to understand the atmosphere. Spending increasing amounts of time discussing the atmosphere with colleagues, by 1903 Bjerknes had developed the rather far-fetched idea that weather could be forecast mathematically if it could be defined by physics. Writing to an ocean-ographer in 1904, he proclaimed, "I want to solve the problem of predicting the future states of the atmosphere and ocean. I had previously closed my eyes to the fact that this actually was my goal, I must confess, partially for fear of the problem's enormity and of wanting too much." That the problem was enormous was an understatement— 100 years later it is still not solved. Bjerknes plunged into his new work. In 1906, he traveled to the United States, where he presented his new ideas on weather forecasting at Columbia University in New York, and then later at the Carnegie Institution in Washington, D.C. The Carnegie was especially interested and funded his project. Bjerknes returned to Norway, ready to confront the European meteorological establishment—and create a new meteorology based on a rigorous application of physics and mathematics to extensive and accurate surface and upper air data. As the decade closed, he was laying the groundwork, in the words of the historian Robert Marc Friedman, to "construct a modern meteorology." atmosphere, including the percentages of CO2 and water vapor. Most scientists settled on just one of these solutions. Chamberlin combined them to formulate his own theory about the onset and departure of ice ages. Chamberlin focused on the changes in CO2 based on geological events. Mountain building, through volcanic eruption, adds CO2 to the air. As the mountains changed the landscape, they also changed the paths of air and water currents. Newly built mountains would be attacked by precipitation that would erode rock. Increased periods of erosion would correspond with a reduction of atmospheric CO2, which would lead to lower temperatures and, because there would be less space between the air molecules, less water vapor. Changes in ocean circulation would result in increased absorption of CO2 as Earth moved into an ice age, and a release of CO2 as Earth emerged from an ice age. Although theories abounded, those studying climate change did not have sufficient tools or data to investigate their speculations. Many more theories would be proposed before the end of the century. Scientific investigation of these theories would be aided by the increased number of weather observation stations being established in mountains and deserts, and in the Tropics and polar regions. Additional observations and studies would be used to describe climatic characteristics over larger portions of the world—particularly those that were tied to the economic and political interests of the British and Austro-Hungarian Empires, and later, the United States. The shift to increased scientific applications of climatology was yet to come.